How do prices compare for river cruises between Amsterdam & Budapest? You are here: Home / All Inclusive River Cruises / Airport Transfer Fees / How Do Prices Compare for River Cruises Between Amsterdam & Budapest? Avalon Expression on the Danube River in Austria’s Wachau Valley. 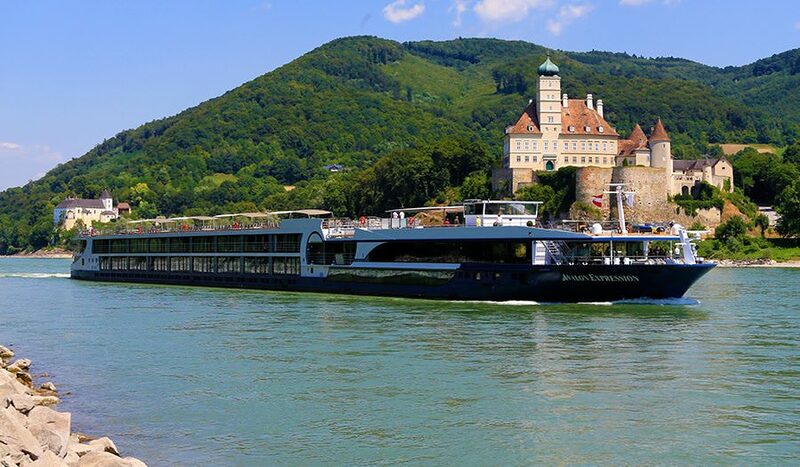 Photo Courtesy of Avalon Waterways. Most river cruise companies offer itineraries that include some combination of the Rhine, Main and Danube rivers. For this article, we’re going to compare prices for river cruises between Amsterdam and Budapest. Most suppliers offer cruises between these two cities. An itinerary between Amsterdam and Budapest lasts an average of 15 days and travels along four major waterways – the Rhine, Main, Main-Danube Canal and the Danube. It includes the Upper Middle Rhine Valley, the entire Main River and Main-Danube Canal and the western portion of the Danube River. The data in the table below shows the lowest starting prices for cruises for 2016 itineraries. Prices listed are per person and are based on double occupancy. Cruise fares are rounded to the nearest whole dollar. A-ROSA No itineraries between Amsterdam & Budapest. CroisiEurope From Budapest to Amsterdam Budapest & Amsterdam 18 $267 June Yes Gratuities not recommended or expected. Grand Circle No itineraries between Amsterdam & Budapest. Please note that prices are subject to change. Figures are based on information gathered in September 2015. Your prices could be higher than what is listed if you select another stateroom category. With an all-inclusive package, there are usually additional amenities included. For instance, premium beverages are often available free of charge. And some all-inclusive cruises will also feature private butler service and laundry service. Read more about cruises between Amsterdam and Budapest. Thank you for your comment. It was an error on my part. With regard to Emerald Waterways, I found three itineraries between Amsterdam & Budapest for July 2016. Splendours of Europe River Cruise. Starting prices are as follows: July 3: $5970; July 9: $6390; and July 23: $5595. There are two other listings for this itinerary on their website, but they are both for 2015 cruises. There are a few other itineraries that include Bucharest, Paris and Prague. Those would not be included in the table for this article, though. With regard to Scenic, I did not see any itineraries between Amsterdam & Budapest listed for July 2016. I only found these itineraries: 1) Christmas Markets; and 2) Christmas Wonderland. The only other itineraries I saw listed that included either Amsterdam or Budapest were between Prague & Amsterdam, Paris & Budapest, London & Budapest, Bucharest & Amsterdam, and Istanbul & Amsterdam. Please let me know which itinerary you are referring to. Our goal is most certainly to provide accurate information. Thank you for pointing out the error. The table has been revised to reflect the addition of Emerald Waterways’ itinerary. I’m in the car (as a passenger 😉 and I found this for Scenic We’ve already booked our tour for this itinerary but I know I’ve counted on your expertise in the past and I know that River Cruise Advisor would want to give it’s readers the most accurate information available. 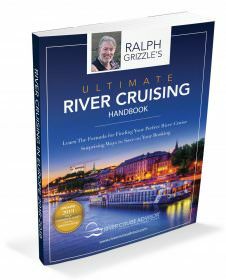 I have not looked into the other river cruise companies that you have listed as N/A. Thank you. 🙂 It’s the Jewels of Europe. I added it to the table.There are 2 companies listed in the table – AmaWaterways and CroisiEurope – that do have itineraries between Amsterdam & Budapest, but they don’t offer them in July 2016. It states that in the table as well as the article. To keep it consistent I only looked at itineraries in July 2016 and chose the one that was the least expensive. I appreciate your input & hope you enjoy your cruise! I made the changes to the table and to the article. I also replied to her comment. That’s very interesting, because when I searched (even after her 2nd comment) for Amsterdam or Budapest or Amsterdam to Budapest, that itinerary didn’t show up. Even when I searched for the itinerary “Jewels of Europe”, it showed the itinerary with Paris or London, not just between Amsterdam & Budapest. I really don’t like the new Scenic website or the new Emerald Waterways’ website. I think they’re both difficult to navigate. Question your research! We’re booked on an Emerald Waterways River Cruise between Amsterdam and Budapest in May, 2016 (one of 5 offered) and there are 4 offered in July, 2016. I’m surprised by the lack of research before publishing this article. For the record, Scenic has the Amsterdam to Budapest itinerary in July, 2016 as well. I have their published 2016 brochures right in front of me as I write this. It was your website that led us to book with Emerald Waterways in the first place. I wonder about the other lines that you say don’t have itineraries for that route next year. True or false? 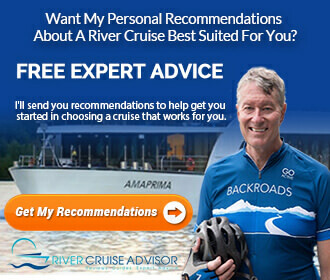 You might want to comment on what these cruise lines are doing to compensate guests for turning their much anticipated river cruise into a bus tour. We were to embark on Viking Amsterdam to Budapest and learned just within days that their longboats can’t manage the current low river waters. Their proposed solution is to bus us between landings between multiple boats. Who wants to repack their luggage several times while on vacation to board a bus? No suggestion of discounts or refunds.